James C. Westfall, 71, of Shreve passed away Wednesday, January 23, 2019 at the Cleveland Clinic, Cleveland following a courageous battle with cancer. Jim was born December 13, 1947 in Akron to the late Donald C. and Martha (Clark) Westfall. Jim worked as a lineman and supervisor for American Electric Power in Wooster, and retired after 43 years of service. 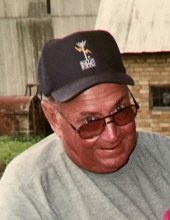 Jim honorably served his country in the Ohio Air National Guard, was a member of the Shreve Garfield Masonic Lodge, and a volunteer on the Shreve Volunteer Fire Dept. Jim truly enjoyed helping others. His large summer gardens where a source of immense pride as he gave away all he could grow each season to friends and neighbors. Jim could be found yearly helping the Shreve Business Association, during the Wayne County Fair, covered in smoke from behind the grills of everyone’s favorite chicken BBQ. Telling stories and laughing with friend were his favorite pastimes, and occasionally some of the stories he told would even be true. He is survived by two sons, Andrew and his wife Sarah (Buehrle) and their children Marin and Charlotte Westfall of Atlanta, GA, Matthew Westfall and his significant other, Becky Mahovlich, of Shreve, and a sister, Marcia Diebler of Casselberry, FL. Graveside services for family and friends will be held Tuesday, Jan. 29, at 11:00 A.M. at Newkirk Cemetery, Shreve with Rev. Christopher Stewart officiating. Schlabach Funeral Home, Shreve is assisting the family. Online condolences may be shared with the family at Schlabachfh.com. Jim loved his local community, giving to any and all who asked for support. Memorial contributions in his honor can be made to the local charity of the donor’s choice. To send flowers or a remembrance gift to the family of James C. Westfall, please visit our Tribute Store. "Email Address" would like to share the life celebration of James C. Westfall. Click on the "link" to go to share a favorite memory or leave a condolence message for the family.